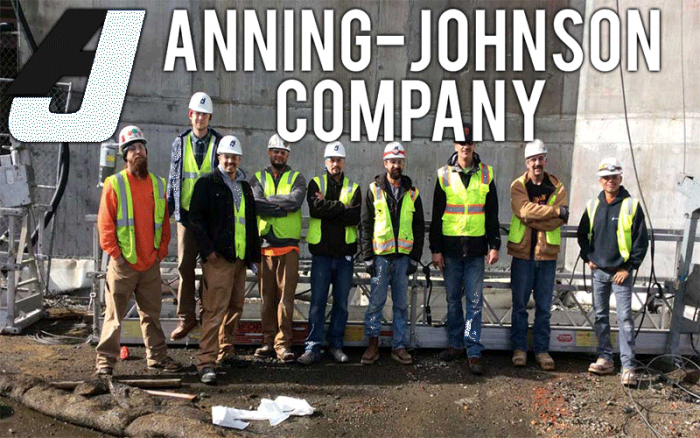 Anning-Johnson Company is a 75-year old commercial specialty contractor with offices in eight locations throughout the United States. As a professional services company in the construction industry, they know that People are their most important and valuable asset. The collective team at AJ makes us successful and they are always looking for talented motivated people to become part of their success. Employee-owned company – unlike many employee-owned companies, Anson Industries Inc. (AJ’s parent company) does not have one or two top-executives with majority ownership. Instead, ownership is spread out across the company. People first culture – they are a family and they look out for each other. From their relentless pursuit of zero safety incidents on the job to continual recognition of their team’s successes; their people are the first thing they think about each day and talk about in their discussions. Grow and learn – they strive to make sure employees are on the right career path and they are always learning; from their mentorship efforts to on-the-job and study-based training. Highest quality work – they take pride in what they do and their work represents who they are. Click Here To View And To Apply To All Of Anning-Johnson Company's Available Positions!